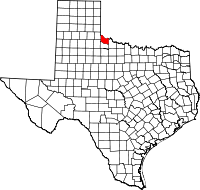 The County Clerk's office of the small county of Hardeman County, Texas, does not maintain its own website. Individuals with inquiries about public records, such as county birth and death certificates and marriage and divorce verifications, may seek copies at the state website (http://www.dshs.state.tx.us/vs/default.shtm). Copies of vital records are available to qualified applicants in person or by mail, with instructions and application forms available at the website. A copy of a birth certificate costs $22.00; death certificates are $20.00 for the first copy and $3.00 for each additional copy. Marriage and divorce verifications cost $20.00 each. Requests can be made online or by mail through the state.